Welcome to the Department of Architecture! "Architecture," wrote an eighteenth century Virginian, is important "because it shows so much." He meant not only the literal truth of the matter - for surely of all the visual arts the products of architects are a most visible part of everyday life - but also that buildings demonstrate the values and aspirations of the communities and cultures they are built to serve. 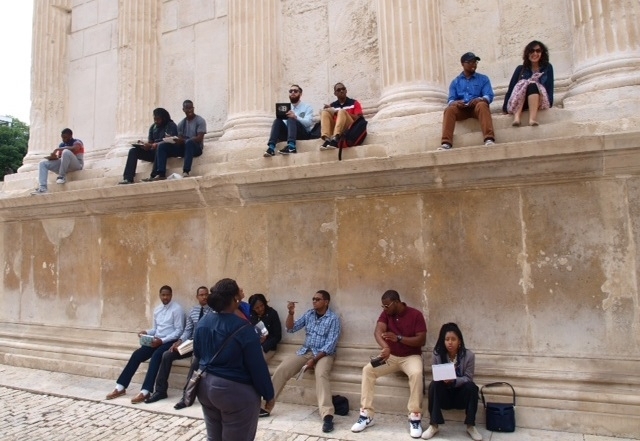 Hampton University’s Department of Architecture, long a recognized leader among programs at HBCUs, aims its students toward successful careers as licensed professionals nationally. Our student body comes from all over the world, and our faculty reflects the diversity of our students. Within the program, students move from high school to a fully accredited Master of Architecture degree in five years. While learning the arts of design, students also learn of the potential for individual buildings to work to create urban spaces in which community life plays out, to travel to study the design of cities abroad, and to learn basics of engineering and building technologies. At the Hampton University Department of Architecture we take the opportunities and responsibilities of our field quite seriously, as we are part of the crafting of the world in which we do and will live. And we believe learning how to make buildings well can offer some serious fun and reward.